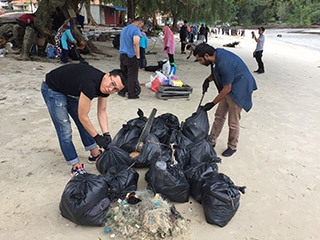 January 2018 – Following the successful beach cleaning activity last August 2017 in Pantai Puteri, Melaka, the same group of postgraduate students continued their mission towards contributing effectively to the ecosystem as part of Corporate Social Responsibility (CSR). Beach pollution is an awful phenomenon affecting the sustainability of marine- life worldwide and the IUKL bunch have taken the call and made an extra effort to continue the good deeds. The group left IUKL for Port Dickson on a rainy, Saturday 12th of February at 7am and reached the Blue Lagoon Beach in Port Dickson by 10.00 am. 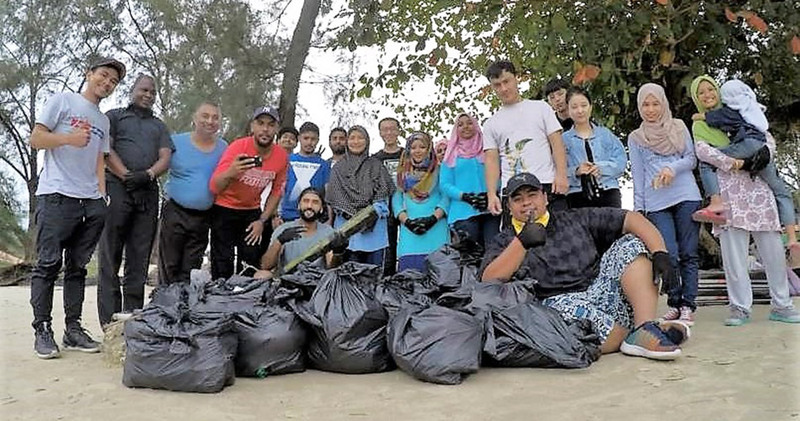 There, all the students and professor wore their rubber protection gloves, teamed up and started clearing the beach polluting materials such as empty bottles, plastic bags, polystyrene foam, old flipflops, broken glass bottles and other man made polluted left overs were collected. 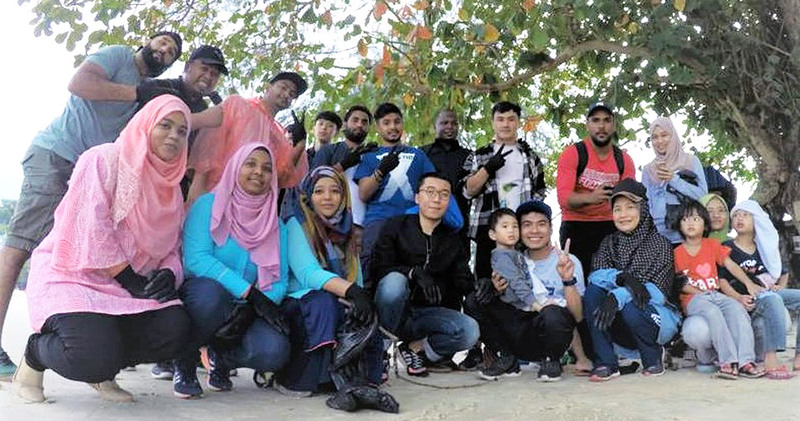 The CSR activity involved 24 members consisting of postgraduate students and other IUKL friends and family, led by Prof. Dr. Noor Saadah Zainal Abidin. The group contribution was immensely appreciated by picnickers, businessman, and others. The mission behind the CSR activity was to protect and preserve the ocean, and to spread the message to the public about the benefits of a healthy environmental ecosystem. Moreover, for the students, it was an opportunity to learn to work as a team and to ‘give back’ or contribute to the community around them as well as improve the lives of others. In the afternoon, there was a series of team building exercises and BBQ by the students. By 4 pm, the volunteers had managed to complete both the targeted CSR activity and team building exercises and embarked on their journey back to the university with smiles on their faces, and gratitude in their hearts. The IUKL postgraduate students hope to continue the good work in the semesters to come. What Should You Read Next!